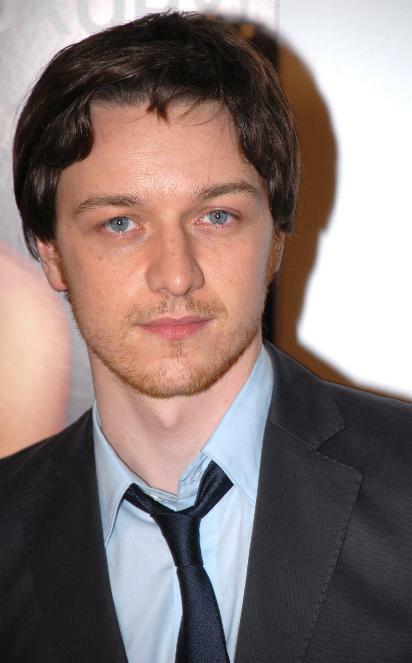 James Andrew McAvoy was born on this day in Port Glasgow, Scotland in 1979. He is 33 years old. The son of a psychiatric nurse and builder McAvoy has a sister and a half-brother. His parents divorced when he was seven and he went to live with his maternal grandparents. McAvoy was raised Catholic and attended St. Thomas Aquinas school in Joranhill, Glasgow. He considered becoming a priest, but followed his acting instincts instead. His first professional gig came at 15 when he landed a role in the film The Near Room. He had small roles in movies and guest spots in TV series while in school. He graduated from the Royal Scottish Academy of Music and Drama in 2000. McAvoy continued to build his CV with high-profile guest spots on series like HBO’s Band of Brothers (he was Pvt. James Miller on “Replacements”) and BBC’s Inspector Lynley, Foyle’s War, and State of Play. In 2003 the SciFi Channel took on Frank Herbert‘s Dune as a mini series and McAvoy landed the role of Leto Atreides II. He had the lead role in Rory O’Shea Was Here as a disabled man whose enthusiasm shakes up the world around him. He stole The Chronicles of Narnia: The Lion, The Witch and the Wardrobe with his portrayal of the sweet, conflicted fawn who meeting Lucy Pevensie. He played a trio of romantic roles (albeit in very different genres) in Penelope, Starter for 10, and Becoming Jane (as Tom Lefroy to Anne Hathaway’s Jane Austen) in 2006 and 2007. He shifted gears to play a fish out of water action hero in Wanted opposite Angelina Jolie. Then went back to historical drama with The Last Station –a movie about Leo Tolstoy’s last days — and The Conspirator — the story of Mary Surratt’s involvement in the Lincoln assassination. Most recently he’s been seen on the big screen as Professor X in the X-Men prequel — X-Men: First Class, and heard in a duo of voice parts as Gnomeo in Gnomeo & Juliet and Arthur in Arthur Christmas. And, rest assured, there’s another X-Men in the works. This entry was posted on Tuesday, January 1st, 2013 at 5:53 pm	and tagged with James McAvoy and posted in C.S. Lewis, Dune, Film, Frank Herbert, James McAvoy, Jane Austen, postaday, Thought of the Day, Today's Birthday. You can follow any responses to this entry through the RSS 2.0 feed. While my love of Jamie knows no bounds, I must dispute with you on the best-ness of MacBeth in the Shakespeare Re-told series, as it also featured Rufus Sewell in Taming of the Shrew and Damien Lewis in Much Ado About Nothing. Wow, FIVE movies in 2013! We will have to spend a LOT of time at the theatre! I thought both Rufus and Damien were lovely in those, and there were other strong performances in the other three as well, I think Mackers was ze best over all show. I’ll give you a draw on leading men.